The official launch yesterday of data.gov.uk, with an index of 2,500 datasets provided by government departments, is fantastic news – and a significant milestone for the Free Our Data campaign. Imagine you had bought this newspaper for a friend. Imagine you asked them to tell you what’s in the TV listings – and they demanded cash before they would tell you. Outrageous? Certainly. Yet that is what a number of government agencies are doing with the data that we, as taxpayers, pay to have collected on our behalf. You have to pay to get a useful version of that data. Think of Ordnance Survey’s (OS) mapping data: useful to any business that wanted to provide a service in the UK, yet out of reach of startup companies without deep pockets. This situation prevails across a number of government agencies. Its effects are all bad. It stifles innovation, enterprise and the creativity that should be the lifeblood of new business. And that is why Guardian Technology today launches a campaign – Free Our Data. The aim is simple: to persuade the government to abandon copyright on essential national data, making it freely available to anyone, while keeping the crucial task of collecting that data in the hands of taxpayer-funded agencies. Happily, that argument has been driven through Whitehall by the efforts of Tim Berners-Lee and Professor Nigel Shadbolt. I interviewed Berners-Lee for the Guardian: see the video or read my account of how they did it. So is that it? Is the campaign over? No, not at all. There are plenty of holdouts: UK Hydrographic Office is complicated (because it buys in third-party data which it then resells), yet even so one would think there should be information that it collects about British coastal waters which could be released as having public benefit. Similarly postcodes, where there is some notable opposition to making any of the datasets free. The easiest one would be PostZon, which simply holds geolocations for each postcode plus data about which health and administrative boundary it lies inside; that’s nothing like as extensive (or valuable) as the full Postcode Address File (PAF). But there’s really strong resistance against making anything from the Royal Mail available for free, and one detects Lord Mandelson’s hand in this. If you haven’t yet had your say on the OS consultation, Harry Metcalfe has created a terrific tool for doing precisely that at osconsult.ernestmarples.com. Go along and make your views heard. UKHo selling off its SeaZone subsidiary: but why? The UK Hydrographic Office is selling off SeaZone Solutions – but hurry, hurry, the bids must be in by midday Friday. SeaZone Solutions Limited (“SeaZone”) specialises in the market for Marine GIS data, software and services, and is the world leader in the provision of Marine datasets. The business supports numerous public and private sector organisations across a range of planning, regulatory, engineering and asset management activities. The business is primarily focused on the UK Marine GIS market, has turnover of c.£1.0m and employs approximately 20 people. Acting for the Secretary of State in his capacity as sole shareholder in Admiralty Holdings Limited (“AHL”), SeaZone’s parent, the UKHO invites applications from innovative organisations to develop opportunities in the Marine GIS market through the SeaZone business and brand. The UKHO is seeking a strategic partner which can provide commercial expertise, product development, market & sales channel capabilities and investment to capitalise on the market opportunities in the Marine GIS sector. This will move through to a shortlist of proposals by September 21, with a plan to complete the transaction by October 2009. You can also get the SeaZone financial statements for 2007 and 2008 (PDF). Amidst all the talk of UKHO privatisation, it’s intriguing to see this happening. Why sell SeaZone? What can’t UKHO do with it? It is expected that increased development activity in the energy sector and marine legislation will continue to drive the market for Marine GIS and provide the business with significant future opportunities in the UK and overseas. Possibly it’s that “overseas” angle that UKHO doesn’t quite want to grapple with. Is this a sign of UKHO focussing more tightly on things, or is it just piecemeal privatisation? Your comments and guidance on how this fits into the wider matrix of things – and especially into the free data debate – are really welcome here. The Conservative Party is demanding that the government publishes the Trading Funds Review, while also giving its backing to the concept of free data – although it hasn’t quite gone as far as backing the entire principles of the Free Our Data campaign. At a debate last week hosted by the Policy Exchange (a broadly right-wing thinktank), Charles Arthur – that’s me – Steven Feldman, Ed Parsons, Shane O’Neill and – crucially – the shadow skills minister Adam Afriyie debated the idea of free data and what it could mean for government. Perhaps one problem was that there wasn’t anyone to represent the other side of the debate. I had thought that Steven Feldman would oppose the idea – but he didn’t, and doesn’t. But the meat of the evening was in Afriyie’s speech. Now, the Free Our Data campaign isn’t party political; the more sides back it, the more likely we are to get change. The campaign to ‘free our data’ is an important one – all the more so at a time when our economy is in deep recession. So my vision is for a more open, innovative and better connected society: a society where access to communication technology creates more powerful citizens and a less controlling state; a society where the free-flow of public information energizes entrepreneurs and social innovators. Data will be the fuel of this new economy. And as the repository of the country’s public data, the Government already has a vital presence in the field. First, I turn to non-trading fund data. This is the deep well of raw data which lies unpublished, unavailable and untapped in dusty government vaults. This includes raw data for crime maps and school league tables. It could include hospital performance statistics and patterns of carbon emissions. It might include the coordinates of every mobile phone mast, held by Ofcom, or the location of accident black spots, held by the Department for Transport. One little point: the mobile phone mast data doesn’t actually belong to the government. It really belongs to the mobile phone companies, but I think that the government has an interest in holding it. This was one of the topics that OnOneMap brought to the fore. There is any number of data sets below the radar, and I’m sure members of the audience will have their own ideas. Much of it can be mashed-up and re-used, adding value for the economy and society. And now to the crunch stuff. Second, I turn to trading fund data. This is information which government agencies sell to generate income. The Ordnance Survey, the Met Office, the Hydrographic Office and the Land Registry are good examples. Now let me be clear: we see nothing intrinsically wrong with asking users to pay for a service. Nor do we oppose attempts to replicate efficient, business forces within the public sector. But we are instinctively cautious of government monopolies. And that puts us in a position to ask whether there could be a better way to generate more jobs, more wealth and more enterprise for the nation by doing things differently. Take Ordnance Survey as an example. While there is a case for the government having responsibility for mapping the nation’s territory, with growing opportunities in the digital economy it’s not so obvious that the government should also run map shops. Conservatives do not usually take the view that retail businesses are best run by governments. That’s an interesting point. It’s indicative of the importance and breadth of what the trading funds do that they are still owned and run by the government. Afriyie notes that there has been plenty of studies about the benefits of free data models, including the Cambridge study and more recently the Trading Funds Assessment, carried out last summer and autumn – just as markets and banks properly went into meltdown. But so far there have been at least five government reports. And some – like the long delayed Trading Fund Assessment – have been announced with great fanfare only to fade with a whimper. Indeed we are now told, bizarrely, that the Trading Fund Assessment will not be published and will be treated as private advice to Ministers. There’s open government for you! But we do welcome to the Trading Fund Assessment. The situation should certainly be scrutinised. But the review should not be an excuse for kicking the issue into the long grass. So I’m calling on the Government to publish the review, and let us have the debate.And let’s be clear: it should not be an excuse for half-hearted measures. It is of course important to read the whole speech (this is only a few extracts from it) to get the full idea of what the Conservatives are – and aren’t – saying here. It’s a nudge in the direction of a free data model, and Afriyie’s reaction on the night seemed to indicate that he thinks it’s a good idea. But it’s a long way between the idea and the implementation. We’re not done yet. So, what does anyone out there know about Sir Rob Margetts’s web 2.0 credentials? Because that’s what he’s going to have to show now that he’s going to be the Ordnance Survey’s new, first non-executive chair, as announced in a formal press release today. Sir Rob, it says, is a CBE, Fellow of the Royal Society of Engineers and FIChemE (institute of chemical engineers). The appointment is initially for three years. Sir Rob began his career with the ICI Group in 1969, progressing through a number of appointments within the group prior to joining the Board in 1992 and being Vice-Chairman from 1998-2000. Since 2000 he has been Chairman of Legal & General Group plc and in 2006 also became Chairman of Ensus Ltd. He is also a non-executive director of Anglo American plc and Chairman of the Energy Technologies Institute. In addition, Sir Rob was Chairman of the Natural Environment Research Council (NERC) from 2001-06. To be honest, on first glance it’s hard to see precisely what he’s bringing to this party. After all, what OS needs now is someone who can chart a course through the new web 2.0 world, where what matters is being able to see the best ways to exploit (in the most general sense) its intellectual property, amidst a changing political (small p), economic and online climate. Love the bit pointing out that Vanessa Lawrence continues to report directly to Ian Wright at DCLG. Why was that felt necessary? In case the media got the “wrong” idea about what this appointment means, one must presume. But then what’s the point of a chair over whose head the chief exec can appeal, since both are appointed by the same person? Sir Rob will report to Shareholder Executive, the body that advises Ministers and senior officials on the government’s “shareholding” in organisations like Ordnance Survey. His appointment brings Ordnance Survey in line with other Trading Funds with Non-Executive Chairs who have already modernised their governance structures, such as the Met Office and UK Hydrographic Office. Make no mistake: this is a shakeup of how OS functions. It’s a political (small p) shock to its system, but what will be interesting will be to see precisely how that plays out. Anyone got any more information about Sir Rob Margetts, and in particular his approach to online intellectual property, business models and the web? Things are starting to happen, through the work of the Power of Information taskforce. Here’s the latest: the terms of reference for the study demanded by the POI report reviewing the trading fund model have just been published. the Taskforce will be assisting with this review, particularly looking at the value of the data held by the funds and whether the current business models and licencing arrangements are sustainable. With regards to a priority group of TFs (Ordnance Survey, Met Office, UK Hydrographic Office, Companies House, DVLA, and Land Registry) the exercise will aim to produce a detailed and definitive pricing and access policy for information held/created by TFs and the optimal constitutional structure for the several TFs to maximise benefit to the UK economy whilst maintaining public policy objectives. We think this is going to be fun. The Green Party has been doing some sterling work trying to get the government to answer questions arising from the Cambridge economics study into the potential benefits of making data sets available for free. The Parliamentary Under-Secretary of State, Department for Communities and Local Government (Baroness Andrews): As announced in the Budget, the Government will look closely at public sector information held by trading funds including Ordnance Survey, to distinguish more clearly what is required by government for public tasks and ensure that this information is made available as widely as possible for use in downstream markets. In the lead up to the next spending review, the Government will ensure that information collected for public purposes is priced so that the need for access is balanced with ensuring that customers pay a fair contribution to the cost of collecting this information in the long term. In the mean time Ordnance Survey will continue to generate the revenue it requires to cover its costs, to fund investments and to provide a return to government, from sales of paper mapping and from licensing use of the Crown copyright and Crown database rights in its data, including OS MasterMap. This is the same “customers pay a fair contribution” line we’ve been hearing since the report came out (first used by DBERR, as we recall). As announced in the Budget, the Government will look closely at public sector information held by trading funds to distinguish more clearly what is required by Government for public tasks and ensure that this information is made available as widely as possible for use in downstream markets. In the lead-up to the next spending review the Government will ensure that information collected for public purposes is priced so that the need for access is balanced with ensuring that customers pay a fair contribution to the cost of collecting this information in the long term. For central government bodies other than trading funds, the clear policy is that raw information should, subject to any statutory provision, be freely available or provided at the marginal cost of dissemination. In drafting the report Models of Public Sector Information Provision via Trading Funds, Cambridge University relied on the co-operation of and provision of data from trading funds. Some of the financial data provided was commercially confidential and was therefore not published in the report. This did not alter the overall conclusions of the report. It would be nice if we could supply those guys with a decent set of OpenStreetMap graphics for use in articles rather than using non-free sources too! It’s actually an avenue we’re exploring – I’ve swapped emails with Steve Coast, who says that a change in the licensing for OSM may make this possible in the near future. It would certainly cut some of our mapping costs. The figure for Ordnance Survey is dramatic, but understandable: as it says itself, it underpins huge amounts of economic activity. The point that this study makes is that making its raw data free would allow even more economic activity – creative, useful, beneficial, taxable – to occur. Anyhow, the video of the talk may be available at some time in the future. But for now, there were two questions that came up, one hard, one easy, which I thought summed up the present position. The hard question: if you make UK Hydrographic Office’s marine data free, won’t you get all the foreign organisations who used to pay for those charts taking a free ride, at the expense of the UK taxpayer? Which raises a question I don’t know the answer to: what proportion of UKHO’s revenues comes from sales of its data to overseas organisations? And what proportion of the mapping it does is of waters outside UK territorial waters? The easy question: what’s the main obstacle to moving to a free data model? Simple – politics. There isn’t the political will there at the moment, and everyone’s reluctant to be the one who might subsequently be regarded as the person who broke this nice system. Except that didn’t exactly hold anyone back over railway privatisation or the poll tax, nor even the privatisation of Qinetiq, did it? To ask the Secretary of State for Defence why the his Department’s review of the United Kingdom Hydrographic Office does not incorporate any of the recommendations made in the 2006 Office of Fair Trading report—The Commercial Use of Public Sector Information. The Government published a response to the Office of Fair Trade report, Commercial Use of Public Sector Information, in June 2007. The recommendation for the United Kingdom Hydrographic Office to remain an Executive Agency financed through a Trading Fund took the response by Government fully into account. If anyone could show us where the CUPI recommendations were taken fully into account in the UKHO consideration, we’d be grateful. We’ve got hold of the Ministry of Defence’s executive summary on why the UK HYdrographic Office is not being privatised, and essentially being left as a trading fund. You can read or download the document from the Free Our Data site (http://www.freeourdata.org.uk/docs/UKHOexecsummary.pdf) – it’s 42KB, so not long. The principal threat to UKHO’s current model, which is selling paper charts, is set out at the start.. The International Maritime Organisation (IMO) are seeking to mandate digital navigation (an announcement is anticipated around 2010). The UKHO already produces a digital chart series for UK waters fulfilling immediate UK obligations. However, IMO mandation will ultimately cause significant reductions in revenue from its international paper chart series. Additionally the Royal Navy has started conversion to digital navigation, and seeks full coverage by 2011. To support the MOD requirement for international digital charts and ensure financial viability, UKHO must rapidly develop a capability to produce new digital products and services for the global market. Interesting question: how rapidly can it do that with the limited capital available to a trading fund? Privatisation would give it a chunk of money – but lose the control that the MOD clearly thinks is important. Making it a free data provider (we’d suggest) would mean a bigger capital cost – but then you’d not have to prop it up. If the margins and volumes available to the Trading Fund from the evolving digital market proved unsustainable, MOD would have to consider the options for central funding to discharge treaty obligations or in the extreme, transfer critical functions to Government departments. This could lead to UKHO becoming a drain on, rather than a contributor to, the UK Defence budget. Delivery of UKHO’s new digital products is critical to its future success. The full report isn’t being released – which hasn’t pleased some. More in the Guardian’s Technology section this Thursday. UKHO decision: no selloff; and a year on from CUPI, are we any further ahead? Today’s Guardian notes that we’re a year on from the OFT report on the Commercial Use of Public Information, but that government still hasn’t come up with a coherent response that covers what’s suggested. So far, the main government response has been to ask for more information. It commissioned the Power of Information investigation, which recommended that the government do more to encourage the re-use of public sector information. It, in turn, called for studies on the effect that changes in pricing would have on trading funds such as the Ordnance Survey and the UK Hydrographic Office. In response, the government commissioned a study of the trading fund model. That is due to be submitted by the end of the year. This month, the MoD is due to decide on whether the UK Hydrographic Office will continue as a trading fund or become a private company. The UKHO decision has been reached: it’s not being sold off. Instead, it will remain a trading fund. That has to be good news for the possibility of a free data model (or even a reduced cost of data, or free unrefined data model). The UK Hydrographic Office will remain a Trading Fund of the Ministry of Defence, after a review of the business and its future. Defence Minister, Derek Twigg announced to Parliament today that the business will remain as an arm of the MoD and will continue to be located in Taunton, but that major changes needed to be made. The review included a detailed restructuring programme to ensure the business and its personnel are best equipped to meet the needs of the 21st century mariner in an increasingly competitive environment. In an overhaul of the business by the Ministry of Defence and the UKHO, proposals have been developed for a reduction of between 250 and 300 permanent posts over a period of up to 5 years. That’s quite a cut, even if it leaves 800 staff still there. 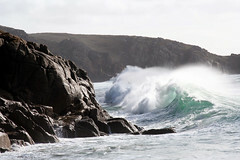 Prepare for heavy seas in the UKHO’s constituency when the next election or byelection comes. We’re gradually trying to get the Free Our Data campaign moved up the agenda: ministerial meetings, civil servants, European comparisons. But we have to thank Mark Todd MP (see right) for at last mentioning the campaign in the House of Commons, during an adjournment debate on Monday night on the topic of “Public Information (Commercial Use)“. I should like briefly to comment on the free our data campaign [our emphasis], which has suggested that the correct path is to distribute Government data virtually for free, or at cost. The difficulty of that model, which relies on the argument that that would generate substantial economic growth and tax revenues that would easily repay the amount lost in revenues directly associated with the sales, is that I am afraid it places a substantial reliance on any Government—not just this one—to continue to fund the development and maintenance of the quality of data in those organisations. At the moment, the organisations have revenue streams on which they can rely to invest into the future. Simply relying on the Treasury to bury its hand into its pocket periodically to develop data into the future is wishful thinking. That is not the path down which we should be treading. One of the difficulties is that a variety of Departments have a role to play; there is no clear, coherent leadership, as was evidenced in the preparations for responding to this debate. My hon. Friend the Parliamentary Under-Secretary of State for Business, Enterprise and Regulatory Reform has been passed the parcel of answering at 10.15 or thereabouts, but to be honest the task could have gone to a number of other Ministers. Indeed, I was asked which Minister I thought it appropriate should answer the debate. There is a lack of clarity at that level that needs to be resolved. His cause is to point out that there’s enormous value locked up in public sector information which ought to be made more visible. We agree; we only differ about the charging methodology. Given that the trading fund model is well established, the Government believe that we should take the time to look at the issues in some detail. We must ensure that high-quality data continue to be produced, and public sector tasks fulfilled, at the same time as opportunities for the wider economy are maximised. It would be entirely premature to abandon what has been a high-quality data production model without fully exploring the consequences. As my hon. Friend said, the UK has world-class agencies, including Ordnance Survey, the Met Office, the UK Hydrographic Office and the Land Registry. I shall take this opportunity on behalf of the Government to pay tribute to the professionalism, expertise and talent that is housed in each of those offices. We should be careful to avoid destabilising those excellent agencies. Yes, but we’d hate to think he’s prejudging the outcome of the trading funds study, which will report on November 22. I spent 20 years in the publishing industry starting as an editor of school history books and leaving when I was running the warehouse, customer service and information systems of the UK business of Addison Wesley Longman. Through most of my business career my task was the transformation of previously unprofitable businesses or service functions which were too costly and failing to deliver. And an extra note for Steve Feldman: we didn’t lobby him..
Richard Susskind, head of the government’s Advisory Panel on Public Sector Information, has been rather critical of government’s lack of strategy over PSI. We’ll have a longer interview with him in the paper on Thursday, but meanwhile here’s some extracts from a position paper (or lack of position paper?) that he has just completed. You can find it on the APPSI’s “Papers for Ministers” slot, or linked below here on the site. unclear government priorities: does it want to cash in on PSI to reduce the net public expenditure, or strengthen UK industry’s competitiveness? “There is significant disagreement over charging policy.” That is: “Some support trading funds and their sale of PSI in the manner of private sector businesses. Others argue for making PSI available at no cost or marginal cost. And still others make a case between these two poles.” Could he possibly mean us? most damning, “There has been, until recently, little interest in the re-use of PSI amongst most Ministers and senior officials.” Although, he adds approvingly, “Recent ministerial interest suggests this may be a problem of the past.” Certainly if the response from Michael Wills is anything to go by. The question of privatising some of the trading funds (first in line might be UK Hydrographic Office) is moot, he says, “in the absence of clearer underpinning policy” [on PSI]. That is, if you don’t know quite how valuable your PSI is – and what UKHO generates is definitely public-, not private-sector information – then you can’t make an informed decision about whether the taxpayer (who is the present shareholder in UKHO) will benefit from privatising it. If you reduce the shareholding to those who buy the shares in the privatised company, does that benefit the people who used to own it (us) by more than we lose? As I said, we’ll have a longer interview with Richard Susskind in Thursday’s issue. Meanwhile, you can read the document from here on the site. You are currently browsing the archives for the Hydrographic Office category.